It went down at DC's Dulles airport, where it has only been in use for three days. The facial recognition technology the US is testing for airports has caught its first imposter merely three days after Washington Dulles International started using it. According to US Customs and Border Protection (CBP), a 26-year-old man from Sao Paulo, Brazil successfully fooled people with a French passport until he presented it to a Dulles officer who used the new facial comparison biometric technology. 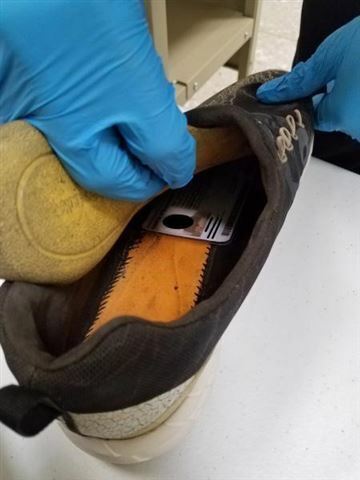 The system determined that his face wasn't a match with the person in the passport, and he was sent for a comprehensive check, which revealed the Republic of Congo ID hidden inside his shoe. While privacy advocates are concerned that the technology could be used to track people and could put law-abiding citizens and visitors it can't recognize in trouble, CBP believes it will significantly bolster airport security and also speed up processing time for travelers. According to The Star, it already reduced international travelers' wait times by four minutes at the Mineta San Jose International Airport. Dulles first tested the use of facial recognition as a security measure back in 2015, but it has only just implemented the fledgling technology on August 20th. It's one of the first 14 airports to launch biometric entry and exit using facial comparison, and the data it collects will help CBP determine how to use the technology. The agency is hoping to be able to completely replace boarding passes and IDs with a new security process that only uses facial recognition in the future. "Facial recognition technology is an important step forward for CBP in protecting the United States from all types of threats. Terrorists and criminals continually look for creative methods to enter the U.S. including using stolen genuine documents. The new facial recognition technology virtually eliminates the ability for someone to use a genuine document that was issued to someone else."